RU? Instant Reaction Review Podcast Ep. 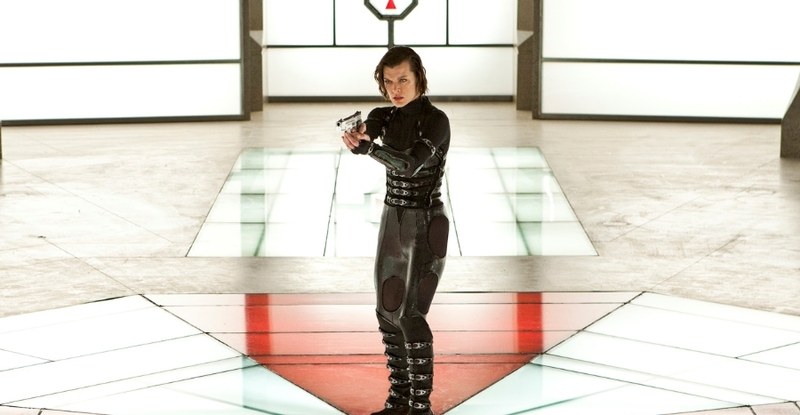 25 - Resident Evil: Retribution - Plus TIFF Report - Are You Screening? Don’t let the one star fool you here. We are at the mercy of what is otherwise a very cool doohickey on the backend side here, and it doesn’t have an option to rate something zero stars, which is what we both gave this one. Unfortunately (if you were hoping for good Resident Evil: Retribution news), this one didn’t manage to do anything other than infuriate us. It’s actually so bad that I’m on board with anyone who might have found this episode of the show a little off the mark. There simply wasn’t any way to talk about the film at all. Honestly, there’s a very real sense in which this isn’t even a movie at all, and that discussion is probably far more interesting than any review that could be managed. It doesn’t even have a starting point to work from in order to quantify its badness. Michelle Rodriguez, who doesn’t have a lot on her resume to bolster high opinion of her acting chops anyway, needs to be extremely careful with her next choices, because when you stand out as being unable to hold your own in the middle of the worst movie ever, there isn’t much else that needs to be said. Milla, God love her, is serviceable… perhaps, but there’s nothing anyone could do with this mess. She is at the point now where extremely desperate actions become understandable, because if she doesn’t get out of this series, it’s the only thing she’ll ever do. It may be too late. In happier news, Are You Screening? writer Christopher Lominac called in to give us his initial take on several of the films he saw at the Toronto International Film Festival, including Argo and Cloud Atlas, and he gave us some great takes on the films and the festival itself. I don’t know about listeners, but he managed to get us very excited to see some of these films. Check out the episode below. It was rather fun, even if I spent most of my time trying not to talk about the film.